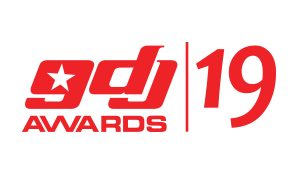 The Regional DJ of the Year is the DJ adjudged by the Board and the General Public as the DJ with the highest audience appeal and popularity in their region. The Artiste(s) must have played at significant shows in the region during the year under review. The Gospel DJ of the Year will be awarded to the DJ adjudged by the public and the board as the DJ who promoted Ghanaian Gospel music exceptionally on air playing at least 40% local gospel music on their show. DJs who present weekly shows will be eligible for nomination. The category is for both radio and mobile DJs. The Highlife DJ of the Year will be presented to a Radio DJ adjudged by the public and board as one with exceptional visibility who played and promoted eighty 80% or more of High Life music in most of their radio or mobile shows. During the year under review, the DJ must have also played some significant live events. The Hiplife DJ of the Year will be presented to a DJ who played and promoted 80% or more hiplife during his or her shows either on radio or club and is adjudged by the public and the board as the best Hiplife DJ for the year under review. The DJ must have generated most excitement amongst hiplife lovers and recognized by music artistes as a promoter of the genre during the year under review. The reggae dancehall DJ of the year award will be presented to the Club or Radio Reggae DJ adjudged by the public and the Jury based on creativity in music presentation and visibility. The DJ must also play some club gigs although the club DJ must not necessarily be on radio. This category will be voted for exclusively by club, mobile and radio DJs and they will choose which song the most popular among DJs and music fans in Ghana and was beyond. The song’s influence should have been felt in the club on the radio and outdoors and should also be popular among the fans and enjoyed a high appeal and rotation during the year under review. Only songs made by Ghanaian artistes are eligible. The Best Male Radio DJ award goes to the DJ adjudged by the public and the jury as the best male DJ who owns a radio show based on his performance during the year under review. The DJ must play all genres of music including hiplife, highlife, reggae, pop, R&B, house music, Gospel etc. The DJ could either be a Radio, Night Club or Mobile DJ and must have excelled in the areas of: residencies, listenership, collaborations and/or patronage. The DJ must have a high listenership and visibility. The Best Female Radio DJ award goes to the DJ adjudged by the public and the jury as the best female DJ who owns a radio show based on her performance during the year under review. The DJ must play all genres of music including hiplife, highlife, reggae, pop, R&B, house music, Gospel etc. The DJ must have a high listenership and visibility. The Best Campus DJ award goes to the DJ adjudged by the public and the jury as the best campus DJ for the year based on his or her performance during the year under review. The DJ must have played significant gigs on campus and known amongst tertiary students as a good entertainer. The DJ must play all genres of music including hiplife, highlife, reggae, pop, R&B, house music, Gospel etc. The DJ could also be on radio. The Night Club DJ of the Year award goes to the DJ adjudged by the public and the jury as the best Night Club DJ for the year under review based on his/her performance during the year under review. The DJ must have high crowd appeal and known among club goers. The DJ must play all genres of music including hiplife, highlife, reggae, pop, R&B, house music, Gospel etc and must have excelled in the areas of: residencies, listenership, collaborations and/or patronage. The DJ must play at least two times in a month in a night club. The Pub DJ of the Year award goes to the DJ adjudged by the public and the jury as the most exceptional Pub DJ for the year under review based on his/her performance. The DJ must have high crowd appeal and known amongst pub goers. The DJ must play all genres of music including hiplife, highlife, reggae, pop, R&B, house music, Gospel etc and must have excelled in the areas of skills and patronage. The DJ must play at least two times in a month in a recognized Pub. The Club MC Award goes to the MC adjudged by the public and the jury as the best Club MC for the year based on exceptional performance during the year under review. The MC must have generated most excitement amongst club goes and must be associated with a credible Night Club in Ghana. The MC must not be restricted to a particular DJ and must have excelled in the performance of his duties. The DJ/Artiste(s) Collaboration of the year is the song adjudged by the Board and as the song released through the collaboration/featuring a Ghanaian DJ and a popular music Artiste(s). The song must have been released and generated the most excitement during the year under review. The Best Female DJ award goes to the DJ adjudged by the jury as the best female DJ for the year based on her exceptional performance during the year under review. The DJ must play all genres of music including hiplife, highlife, reggae, pop, R&B, house music, Gospel etc. The DJ could either be a Radio, Night Club or Mobile DJ and must have excelled in the areas of: major events, residencies, listenership, collaborations and/or patronage. The DJ Mixtape of the Year will be awarded to a DJ adjudged by the board as the DJ with the best audio mixtape based on creativity and public appeal released during the year under review. The mixtape must contain at least 50% Ghanaian music and its presentation should include a full artwork design. The presentation should have a track listing and the concept and creativity of the mixtape will be considered in the determination by the board. Tribute mixtapes are eligible but must include previously released material. The Best Video Jockey (VJ) award goes to the VJ adjudged by the jury and academy as most creative and entertaining VJ for the year based on his/her performance during the year under review. The VJ must play all genres of music including hiplife, highlife, reggae, pop, R&B, house music, Gospel etc. The VJ could either be a television, night club or mobile VJ. The winner must have a show which is aired on a Ghanaian TV Channel or must have an internet based video channel. The Record Promoter of the Year is adjudged by the Board as the most outstanding local music promoter on radio in Ghana. The winner must be credited with heavily promoting, at least, one very popular song that became a hit during the year under review. The DJ must be known by the public and music artistes as an exceptional Ghanaian music promoter who is influential on the Radio. The Best Mobile DJ of the Year will be a DJ who plays all genres of music ranging from Dance, Electro, Gospel, House, High Life, Hip Hop, Hip Life, Pop, R&B & Reggae among others and will be determined by the Jury as the best Mobile DJ due to his artistry and appeal. To be eligible, you must be either a mobile DJ or a club DJ. The winner must own or be associated with a sound vendor (Sound system). Submissions to this category will be via video. The submissions will be for three (3) minutes edit of a performance. The performance can feature any genre of music. Nominees will be chosen by the jury based on their expertise and knowledge of Scratch DJing and the presentation on the video. To be eligible, you must be either a radio, bedroom DJ, battle, club or mobile DJ. This category will also be via video submission/event based. To be eligible you must be an assigned Artiste DJ, you must work with a Ghanaian and Ghana based artiste and must be the DJ during at least 80% of the artiste’s performances. All genres of music played are eligible. The Artiste DJ of the Year will be determined based on your performance, chemistry with the artiste during performances, artistry and the expert knowledge of the Jury. This category will also be based on a video. Submissions will be for five (5) minutes edit of shows featuring the DJ. The adjudication will be based on the expert knowledge of the Jury and you must have been the DJ assigned to play for a major event in Ghana and played alongside artistes’ performances and in between their Assigned DJs. All genres are eligible for this category. The winner of this category will be chosen by the Jury based on their expert knowledge and their observations as the most promising DJ with a significant buzz during the year under review. The award will be presented to a relatively up-coming DJ in Ghana with skills and public appeal. Participants in this category must have never been nominated for a DJ Discovery of the year award, should have at least a year’s experience working in clubs and/or radio (not including podcasts/internet radio) and could be playing any genre of music. The winner of this category must be a non-resident Ghanaian DJ who presents and promotes music from Ghana to the rest of Africa and world. He must have at least 3 years’ experience working in clubs and/or radio (not including podcasts/internet radio) internationally based on the Jury’s expert knowledge and experience and also the DJs appeal internationally. The winner of this category must have at least 3 years’ experience working in clubs and/or radio (not including podcasts/internet radio) internationally. He / she must be a non-Ghanaian favorite international non-Ghanaian DJ who has exceptionally presented music from Ghana to the rest of Africa and world. Mixed tape DJs are also eligible in addition to Club and/or Radio DJs. The Best DJ of the Year must be based in Ghana and have a national appeal, crossed borders and made the most impact in Ghana during the year under review. The DJ must have been nominated for any of the public or industry sections of these awards. The nominees in this category must have at least five years’ experience working in clubs, radio or mobile (excluding podcasts and internet radio). They must have won at least one of the categories in the Public or Industry section. All genres are eligible for this category. This award is a prestigious category involving the induction into the DJs Hall of Fame. This award goes to exceptional individuals and/or groups who are recognized as leaders of our industry. Induction is not limited to any one (1) candidate(s) per year. Inductees will receive an official Ghana DJ Award inscribed with their name, and will be recognized with a synopsis of their history and contributions through a formal segment presented by selected peers and colleagues during the Ghana Awards Gala. To be eligible, the DJ must have never received a Lifetime Achievement award at Ghana DJ Awards and must be a Ghanaian with at least ten years’ experience working in clubs and/or radio (including podcasts/internet radio).